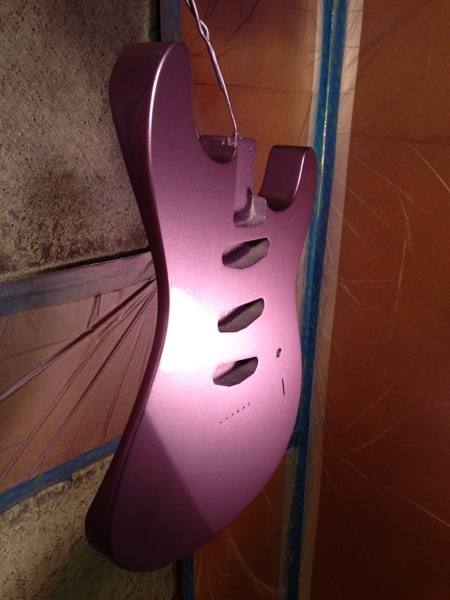 Swamp Ash Catfish getting some color and clear coats. Here it is in the daylight - the color shifting is pretty neat in different lights. And a 624 getting the same.... I have to say that my favorite part of the 624 is the back. Contouring this body shape is a lot of fun. I really like the shadow in this pic.